Whether you are looking to update your kitchen or bath with a new replacement faucet or have a leaky faucet in need a quick repair, Dean’s crew of professional plumbers have you covered. With a wide variety of faucet repair, replacement and plumbing services, there’s no job too big or too small for Dean’s. We have many kitchen and bath faucets for you to choose from, you’re sure to find the right one for your decor. Don’t waste another cent on that leaky faucet. 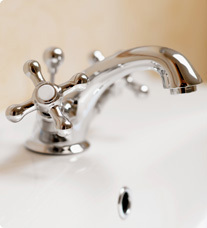 Call Dean’s today and have your faucet repaired or replaced by our experienced plumbers. No matter the size of the job or type offaucet, you get the same, professional faucet repair and installation service every time you call!